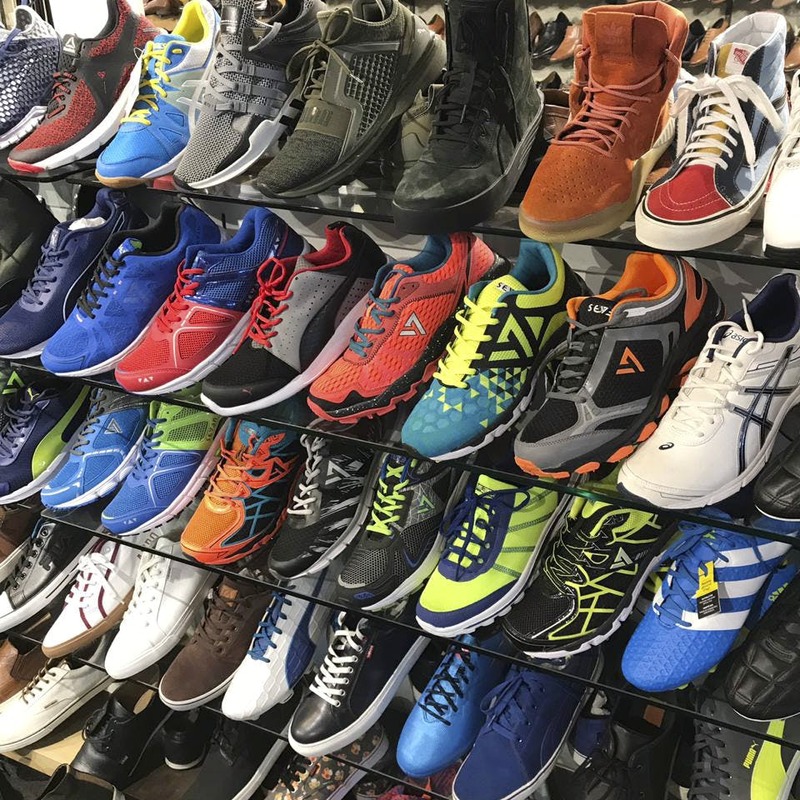 The Shoe Store in Jeevan Bheema Nagar will have you sporting running shoes from Nike, Puma and Adidas as well as formal shoes, Chelsea boots, and loafers from brands such as Ted Baker, Hush Puppies, and Bugatti. Should you consider adding (or need to replace) shoes to your closet, The Shoe Store is where you need to head to. The export surplus store stocks up on footwear from brands that you are all too familiar with for just half their original price, all year long. Score sports shoes from Adidas, Nike, Puma, Lotto, Zeven, and Reebok without having to pay a bomb. If you are lucky, you will find options such as Adidas Superstars and Gazelles along with basketball shoes like the pink Derrick Rose Adidas basketball we spotted. Men, the formal wear section is what you really need to be checking out thoroughly. Brands we found included Bugatti, Hush Puppies, Ted Baker, Zara, Allen Cooper, and Clarks. You'll find everything from round tips to winged tips (in almost all shades) for your suits, loafers, boat shoes, and slip-ons for your casual and brunch look, and a whole section of boots for every time you need to rock that leather look. Don't go expecting the latest collection. Most of them are at least a season old. Also, the women's collection is quite limited, especially in the formal footwear section. Disclaimer: Since this is an export surplus store, we cannot guarantee that you will always find all the brands that we spotted.